If you are interested in taking your security career to the next level or are interested in the field of investigations, CPP30607 Certificate III in Investigative Services is the qualification for you. 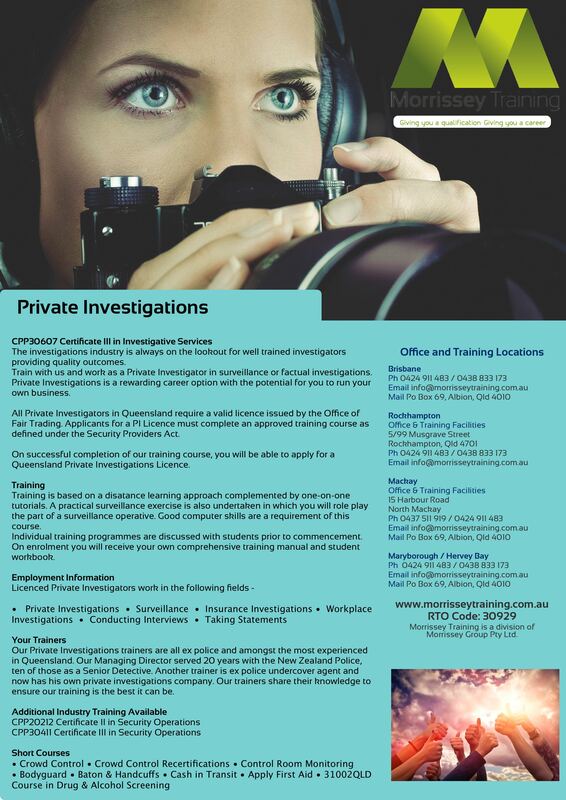 Through completing this qualification, you will learn how to carry out successful surveillance exercises, perform information searches, carry out interviews, and more. View the brochure here. 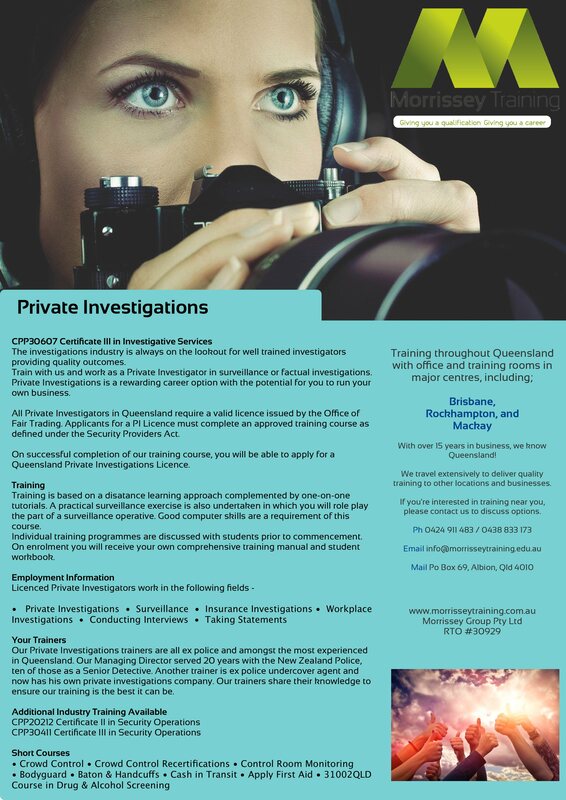 This is the course you need to complete if you wish to apply for a Queensland Private Investigators Licence. This course is now available under the Certificate 3 Guarantee Program for eligible participants!